We are Advanced Maintenance. We are experts in performing preventive, corrective, and emergency maintenance on a wide variety of commercial fleet vehicles, including heavy duty trucks, medium duty trucks, light trucks, buses, vans, forklifts, trailers and a variety of motorized farm equipment. we provide maintenance and repairs on-site at the customers location, and we also perform 24 hour emergency roadside repairs. Our superb professional technicians know how to perform maintenance and repairs that are Department of Transportation compliant. And, due to the scope of the repairs, such as engine or transmission replacement, we can bring the vehicle to our shop for the necessary repairs and return it to our customer when completed. Due to the growth of the trucking industry and the vital importance of truck maintenance, we are expanding our operations, and we sincerely invite you to join us as an… Advanced Maintenance owner! Moran Family of Brands manages Mr. Transmission, Milex Complete Auto Care, Alta Mere Toys for your Car, and SmartView Window Solutions. Each brand uses our proven operating system. Alta Mere is America’s high-tech automotive accessory and window tinting specialist. With proven sales techniques and advertising programs, our concept continues to be strategically positioned to capitalize on growing consumer demand. Primary products are window tinting, auto security systems, remote starters, paint protection, and mobile video systems. Franchisees also sell a full line of auto & truck accessories and audio products. Alta Mere offers products and services that customers “want” to spend their money on as they hold on to their cars longer. Average age of cars is now over 11 years old so customers want to upgrade. Co-branding opportunities are available with Milex franchise and Smartview franchise. We offer a superior business system, strong brand name, customized marketing and a service that is in strong demand. Our support starts with site selection and pre-opening needs and continues with ongoing operations and marketing support. At Moran Family of Brands we take your success personally. Some of the support expected includes: two weeks of in-store and classroom training, assistance in site selection, lease negotiation and third-party financing. Ongoing Marketing and Operational support are offered as well. We are fully equipped to assist with every aspect of franchising to offer our franchisees the level of support they need. At Auto-Lab, we provide a professional approach to today’s automotive technology. Our company is growing and we are excited to be opening new locations in different regions all over the country. We are currently looking for people who are interested in opening their own Auto-Lab franchise. The opportunity is incredible and the support you receive is amazing. Due to the complexity of today’s automobiles, there is an urgent need for competent diagnostic and repair service at an affordable price. Auto-Lab answers that need by offering total service ranging from the diagnosis of an automotive problem to its proper repair. By combining proper diagnoses, excellent repair work and total commitment to the customer, Auto-Lab Complete Car Care Centers has established itself as a reputable, efficient and professional automotive repair organization. This is an excellent opportunity for someone who is looking for a business that is very resistant to recession and can be profitable in its first year. We have a projected 92% ROI in the first year. It requires almost no inventory and very low build out costs. We have truly designed the “better mousetrap”. Our ideal franchisee / candidate is someone with mechanical abilities, good business experience and good management skills. The mechanical skills are not a necessity. The franchisee can hire individuals with those skills. Our training and business practices will guide an inexperienced person to profitability if they will follow our guidelines and training. The Cactus System is a proven system for locating, designing, equipping, and operating a flex-serve car wash for the highest levels of customer comfort, quality, volume and profit. With four profitable car washes, numerous awards, and more than ONE MILLION CUSTOMERS served since 1996, Cactus Car Wash has demonstrated the value of the Cactus System. Our system makes Cactus Car Wash an oasis in the car wash industry. We use advanced tunnels, specific procedures, and efficient layouts to serve the highest customer volume while achieving the highest quality standards. Besides a Full Service option, there is an exterior only express option and detail services for the customer. As a Cactus Car Wash franchisee, you will receive the knowledge, experience, and operating system that make us the number one car wash in Atlanta, GA and Charleston, SC. Drive N Style is a B-B franchise that combines automotive interior restoration, exterior paint repair/refinishing and restyling services under one brand, marketed primarily to new and used car dealerships. Our services help new and used car dealers sell more vehicles, more quickly and for more money. Drive N Style uses a proprietary process to restore the vehicles interior carpeting, leather, vinyl, and cloth upholstery, the exterior painted surfaces and wheels as well as offering a wide variety of restyling and accessory options. Drive N Style also offers the car dealer a variety of profit opportunities for maximizing the car dealer’s revenues and profits in the F & I and service departments. These unique features significantly differentiate Drive N Style from its competitors. This is a very simple business model that boasts a minimal initial investment, low overhead, low inventory requirements, high margins, quick ramp up and repeat business. Honest-1® is the only national company to operate full-service, customer centric, and eco-friendly auto care centers. We want to ensure our customers are thoroughly educated on the systems and services necessary to keep their vehicles in the best running condition possible. Honest-1® centers are designed to be family friendly with upscale features like tiled lobbies with leather easy chairs and couches, Internet cafe, complimentary beverages, large screen TVs, children’s play areas secured by a low wall, tiled and upscale restrooms, and exceptionally clean work areas. Region Developer Program: Honest-1® has developed a New Region Developer Program that allows a prospect to acquire a large territory for the purpose of selling and developing Automotive Franchises. The Region Developer will pay a franchise fee for the right to own an area, develop and service a specific number of Centers; in return they will receive a percentage of the initial franchise fees and a percentage of the ongoing royalties paid by the franchise owners. Each RD has a development timetable within which to sell unit franchises in their exclusive territory. We do not require or want our new RD’s to open a unit. Instead we want them to focus 100% of their efforts on selling and opening unit franchises in their territory. Maaco is “America’s Bodyshop” franchised with nearly 500 owner operators whose centers boast system-wide sales approaching a half billion dollars. Maaco celebrates extraordinary brand recognition and thirty-eight years without any national competition. Its combination of Cosmollision – that huge market of vehicles that have sustained damage but are still drivable – and its auto painting position Maaco as a market leader. No automotive experience necessary. Our owners come from all walks of life – accountants, engineers, managers – all share a desire to own and operate a successful business. Milex Complete Auto Care is a full service automotive franchise that specializes in all aspects of maintenance and repair services. Milex offers extensive diagnostics and repairs including engine repair and replacement and a wide array of general automotive and drive-ability services. Although Milex is a repair facility, the franchise owner is not expected to work on vehicles. Rather the owner will work on community networking, promotion of business, vendor relationships and staff management. Some of this may overlap with the daily operations necessary for running the business such as parts procurement or customer service depending on the role the franchisee will play in the business. Co-branding available with Mr. Transmission ($197,715-$272,807) franchises. We offer our franchisees a superior business system, strong brand name, customized marketing, operational and technical support and a service that is in strong demand. By offering co-branding our customers has a one-stop service center. Our co-branded model delivers the most comprehensive repair facility in the industry. At Moran Family of Brands, we take your success personally. Some of the support expected includes: in-store and classroom training focusing on how to grow the business and ramp up quickly. Assistance with site selection and lease negotiation. Ongoing Marketing, Operational, and Technical support – our Technical support staff provides the “quickest” and most complete support in the industry. We are fully equipped to assist with every aspect of franchising to offer our franchisees the level of support they need. Moran Family of Brands. manages Mr. Transmission, Milex Complete Auto Care, Alta Mere Toys for your Car, and SmartView Window Solutions. Each brand uses our proven operating system. Mr. Transmission is a well known brand specializing in transmission and drive train repair. Mr. Transmission operates transmission service centers nationwide and services wholesale, retail and fleet customers. Mr. Transmission can service any type of foreign and domestic vehicles, automatics, standards and light trucks. Although Mr. Transmission is a repair facility, the franchise owner is not expected to work on vehicles. Rather the owner will work on community networking, promotion of business, vendor relationships and staff management. Some of this may overlap with the daily operations necessary for running the business such as parts procurement or customer service depending on the role the franchisee will play in the business. Co-branding available with Milex Complete Auto Care ($197,715-$272,807) franchises. We offer our franchisees a superior business system, strong brand name, customized marketing, operational and technical support and a service that is in strong demand. By offering co-branding our customers has a one-stop service center. Our co-branded model delivers the most comprehensive repair facility in the industry. We are looking for qualified franchisees who have solid corporate business managerial, marketing, operational, or sales experience, as mid-to-upper management or owners/entrepreneurs, for large and middle size exclusive franchise service territories, worldwide. Universally needed and necessary expenditure security type services virtually guarantee that if the Pop-A-Lock System is followed there will be revenue and income. None of our franchisees had previous “industry specific” experience. 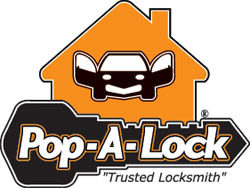 Now is the time to start your own Pop-A-Lock franchise and become part of our incredibly successful team. We invite you to explore the possibilities and take advantage of our exciting (i.e. biometrics, electronic access control, high tech auto) franchise business opportunities. Business consistency and ROI for the franchisee are two important factors. The Precision Tune Auto Care service mix is a successful combination of car care and car cure, and our work is backed by certified technicians and a nationwide warranty. We are your one stop shop for all your auto care needs. We offer a variety of automotive services to fit your cars needs, including services for air conditioning, brake systems, fuel injection, air induction systems, cooling systems, fluid maintenance, tune-ups, as well as other scheduled maintenance services. We’re not just brakes. The total Car Care Center concept allows you to offer a full menu of automotive services for maximum customer procurement, rather than a limited niche market. You benefit from a management team where concept, methods, and system were proven and perfected for 75 years before we began offering franchises. Our highly trained service technicians provide required maintenance services including replacement of all fluids and filters, wiper blades, light bulbs and tire rotation. We have incorporated a distinctive architectural design to attract customers, provide the best and latest software for business and customer use, and integrated environmentally safe recycling methods. Our “Zip-Pit” construction eliminates basements thus reducing construction time and cost. Franchisees buy products at cost directly from suppliers thus keeping overhead lowest in the industry.